SEO isn’t just for big corporations. In fact, it’s even more important for small businesses. Of all content marketing terms, SEO is probably the one bandied about most and understood least. It’s a fast-moving field where so much changes overnight that what used to be common wisdom can be overwritten by the next Google update. Add to that the black hat SEO scammers that manipulate the confusion by providing unrealistic results at breakneck speeds for the right fee, and it’s no wonder that SEO myths and bad practices abound. One of the big myths about SEO is that it’s something only large companies need. I’m not entirely sure where this belief comes from, but I suspect it stems from the belief that SEO is a commodity you purchase rather than a service provided by skilled professionals. They think about buying links and keywords (both bad practices that could get you blacklisted) instead of investing in a long-term content strategy. 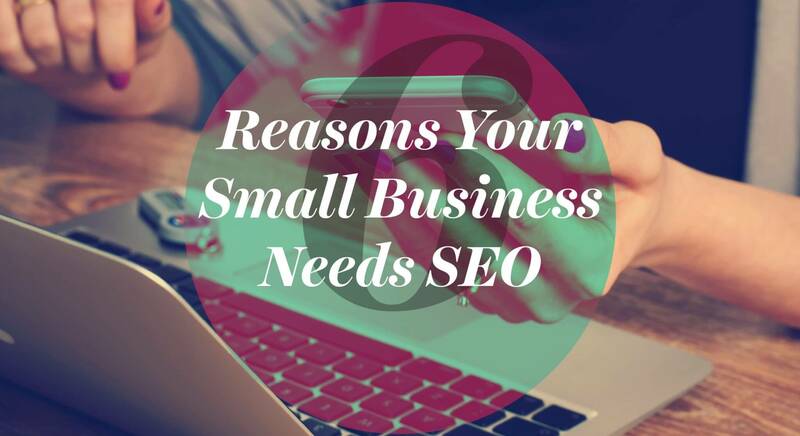 The truth is that small businesses need SEO just as much as large ones—if not more so. More than that, small businesses can succeed at SEO just as well as large ones. Here’s why. 1. Big corporations dominate fat head keywords, while the long tail is still up for grabs. For some reason, the argument against small business SEO often begins and ends with “small businesses can’t compete with large organizations.” That’s true—maybe. But there’s more than one way to succeed at SEO, and small businesses can do so without going head-to-head with large businesses. One of the primary reasons small businesses have room to grow in the SEO space is that they can target other keywords. Large corporations may dominate branded keywords and large search volume terms, but longer, more specific phrases usually suffer less competition because there are so many of them. Small businesses wanting to earn their own piece of the SEO pie have only to target these phrases. 2. Small businesses dominate niche markets. You don’t need to compete with large businesses for keywords if you’re selling a completely different product. Niche brands occupy a special place on the Internet. With the ability to reach wider audiences, they can become ever more specific and hyper-focused in their product offerings. So go ahead. Open your artisanal pencil sharpening business. Ain’t no one gonna take those keywords away from you. 3. You still need local SEO. With the exception of large retail and restaurant chains, big brands have little use for local SEO. They’re not trying to direct foot traffic to their regional headquarters. Rather, they’re leaving the local SEO to the department stores where their products can be found, and diverting the rest of their marketing dollars toward other endeavors. But local SEO offers some huge incentives for small businesses, and those that fail to take advantage of them are going to have trouble keeping up. Increasingly, people are using their smartphones to make local decisions. They want to find the nearest quiet work space with WiFi access, a flower delivery service in a nearby city that can drop of a bouquet for a friend, or a gym within walking distance of their home or workplace. If your small business relies on word of mouth and walk-ins to grow foot traffic, then you’re missing out on one of your best opportunities to snag local SEO rankings. 4. You’re serving a different target audience than the Fortune 500. Some of the above points boil down to: you’re serving a different target audience. That audience doesn’t have to be ultra-niche or local to be different. For instance, the eyewear brand Warby Parker has a strong brand that targets a very specific group of people. They have an innovative service model that helps them gain a strong market edge, but their product isn’t particularly niche. Similarly, many small ecommerce businesses can compete on a national—or even global—scale simply by offering a strong brand and a flawless customer experience. 5. Many of your competitors still aren’t doing it. And if they are, you need to compete. Many small businesses have bought into the myth that they don’t need SEO. They haven’t invested in it, or if they have, they’ve only done the bare minimum. SEO hasn’t become part of their ongoing marketing strategy, which means they’ve left a huge whole in the market just begging to be filled. This is an opportunity for your business to take the initiative and claim the top results for your keywords before anyone else. And what makes this strategy particularly satisfying is that, once you’ve earned your rank and taken the time to build your score, you’re harder to displace. Of course, if your competitors have beaten you to the SEO game, that doesn’t mean you can throw in the towel. On the contrary, while it will make ranking more competitive, it also makes it far more necessary. If you don’t invest in SEO, your competition will continue to out-rank you on the Internet, and eventually the brand recognition that brings will supplant you elsewhere as well. 6. It’s more cost-effective than other marketing. SEO is one of the few ways your business can bypass other forms of advertising, because you don’t have to compete with a lot of other businesses for the same space. Just think about some of the traditional marketing methods, such as TV spots or print mailers. On TV, you’ll be competing for ad space alongside other businesses both large and small. When else do Tide and Australia wrestle each other for viewer attention than during Super Bowl ad spots? But when people search online, their attention is already yours. And someone who searches for your keywords isn’t going to suddenly click on an unrelated product. They’re looking for you. SEO is how you make sure you can be found. Both these factors combine to make SEO more cost-effective than other advertising methods. You’re not competing with irrelevant brands for attention, and searchers have already qualified themselves as potentially interested parties. So, if you’re a small business, leave the Super Bowl to the businesses (or countries) with money to burn. Invest your money where it will bring the best ROI. Your small business needs SEO. You can probably afford it, too. The reality is, if anyone can do without SEO it’s the giant corporations. They already have the brand recognition, and they’re going to get plenty of links from any number of sources no matter what they do. Everyone knows Coca Cola. No one is searching long-tail key phrases like “carbonated brown syrupy beverage,” they just go straight to Coke. On the other hand, SEO presents small businesses with an opportunity to establish their brand credibility, build their local SEO strength, and reach a niche market with much better ROI than other options. The good news is that small businesses can succeed in their SEO efforts, even if their budget is small. They will have to devote some of their marketing resources toward it, either through their own staff or by hiring an agency. But improving rankings for local or niche terms is well within the capabilities of your small business. If you have enough of a marketing budget to be thinking about marketing at all, you should be considering SEO, too. Yes, it takes time to build SEO strength, and, as part of an integrated content marketing strategy, it’s not cheap. But when it comes to bang for your buck, it’s hard to beat.